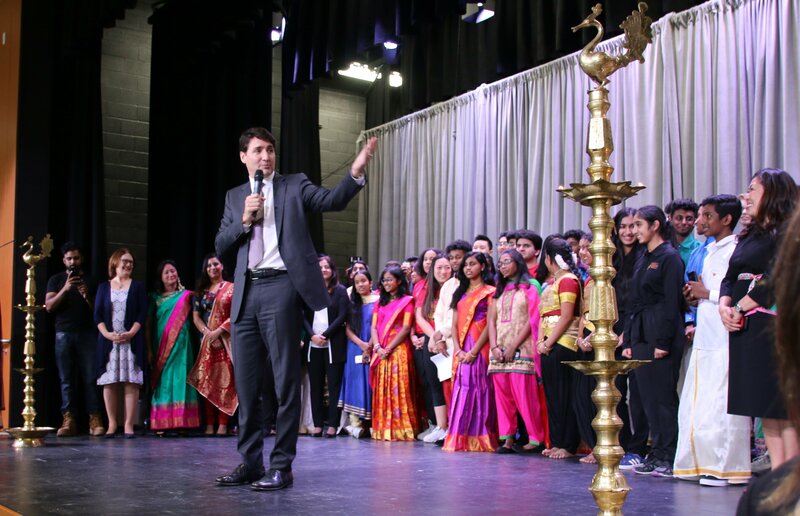 Prime Minister Justin Trudeau has been called a rock star of politics and, for anyone who was present at Bill Hogarth Secondary School in Markham for the Tamil Thai Pongal event, it was clear to see why. Entering not through a back entrance but straight through the middle of the school full of excited students, a sudden whoop with screams went up outside the auditorium, heralding the arrival of the PM to local dignitaries and representatives from the Tamil community who waited within. 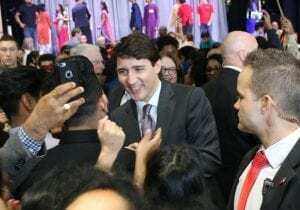 Area MP and newly crowned treasury president and digital government minister, Jane Philpott was also on hand to celebrate Tamil culture and introduce the Prime Minister. 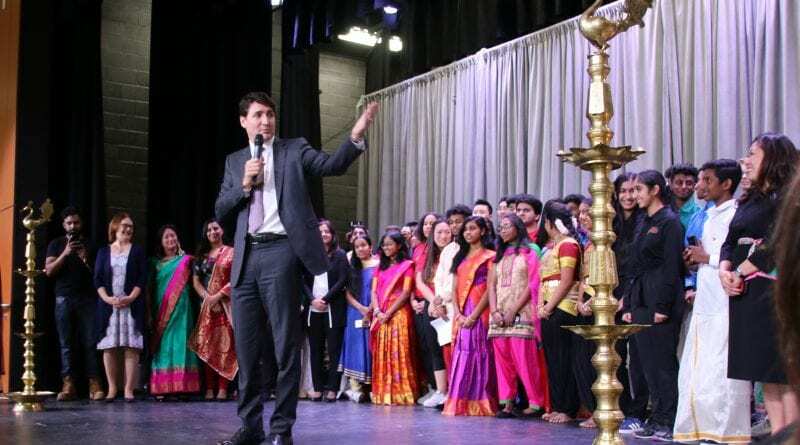 The PM warmly greeted the assembled for the celebration that traditionally marks an annual four-day harvest period, but in Canada is a perfect opportunity to celebrate Tamil heritage through song, dance, art and food – especially pongal, a sweet rice pudding. 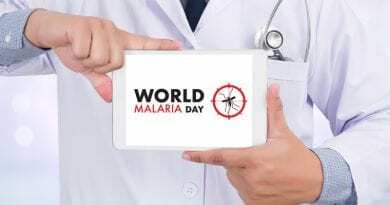 Trudeau also struck a sombre note remembering that 2019 is the 10th anniversary of the end of the Sri Lankan civil war that ended with the decimation of many Tamil communities. 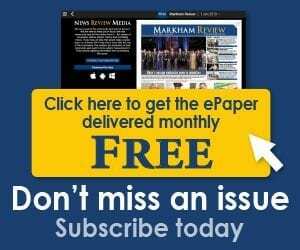 There were a number in the audience who had lost loved ones in the conflict and Trudeau promised them that Canada will keep up the pressure on the Sri Lankan government.